Wishing you a very Lambrusco Thanksgiving! Happy Thanksgiving to all of our friends in the U.S.! Wishing you a very Lambrusco holiday! The experts agree: Lambrusco IS the PERFECT THANKSGIVING wine! It seems like just yesterday that we asked whether or not Lambrusco could be the perfect Thanksgiving wine (well, actually, it was last week). One of the wine professionals she talks to tells her, “the intense red fruit — think, cherry and strawberry — flavors of dry Lambrusco would complement game birds, turkey and ham,” some of the classic fixings for the Thanksgiving piece. It’s a great article chock full of useful information about Lambrusco and why it works so well at a meal like the Thanksgiving feast. Check it out here. And thank you, Jillian, for loving Lambrusco as much as we do! 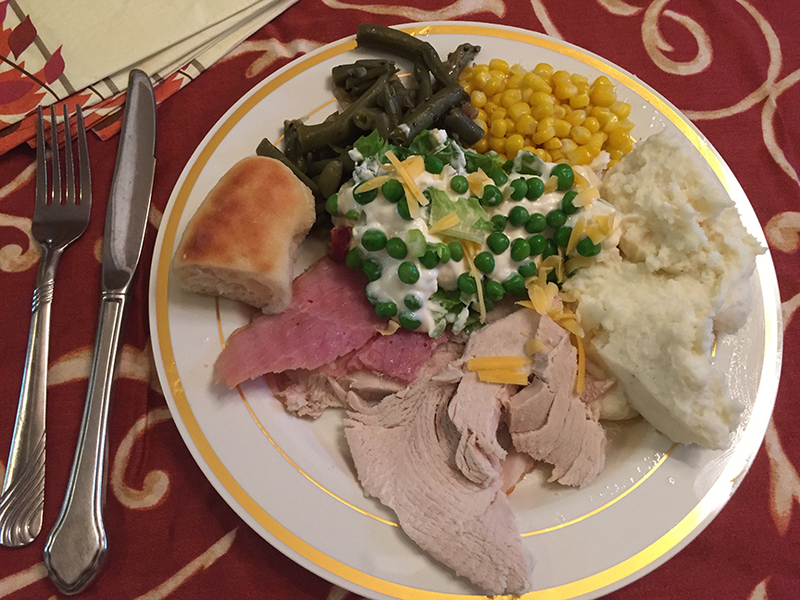 Photo: A Thanksgiving plate in Southeast Texas by our blogger Jeremy Parzen aka Do Bianchi.